With photos shot on location around her native Rome, Giada's latest book--a New York Times bestseller--is a lavish exploration of her food roots and the lifestyle traditions that define la bella vita, with the contemporary California twist that has made her America's most beloved Italian chef. 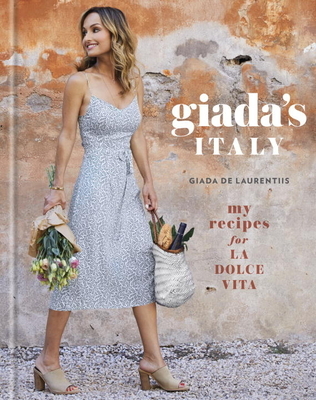 "Giada De Laurentiis' newest cookbook filled with Italian food adventures is giving us a major case of menu envy. The pages of Giada's Italy are bursting with snapshots of the luminous chef in Rome making, plating, and chowing down on her favorite authentic dishes. Covering starters, lunch, in-betweens, easy weeknight feats, sides, and sweets, De Laurentiis' recipes are fresh and vibrant spring to summer dining goals."